Fort Dorchester is part of the Colonial Dorchester State Historic Site in Summerville. The citadel was built in 1757 from tabby, the same oyster shell-based material that was used to build the wall that once bound the city of Charleston. In addition to the fort, the site also includes the ruins of St George’s Anglican Church, built between 1719 and 1720. 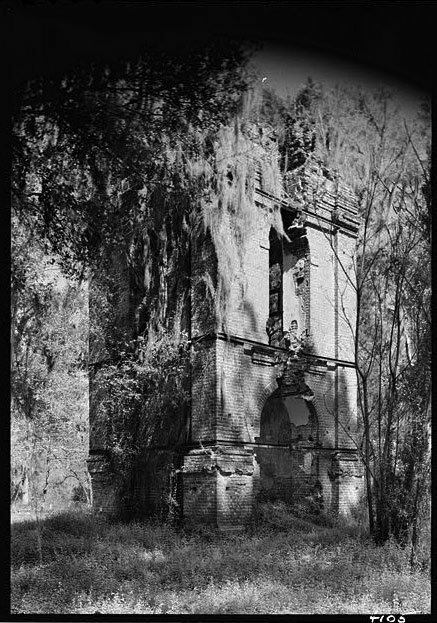 Its remaining bell tower was constructed in 1751. Also visible are the remains of a shipping dock on the Ashley River, though they can be seen only at low tide. Dorchester was founded in the late 1690s by a group of Congregationalist settlers from Massachusetts who formed a nearby meeting house. Descendants of this group would eventually form Summerville Presbyterian Church. 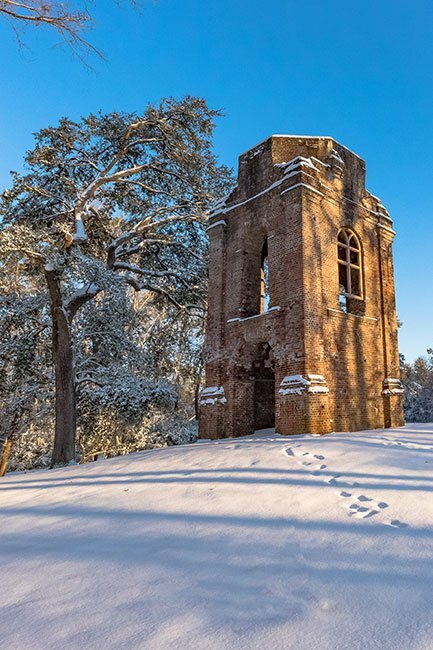 Located on the banks of the Ashley River, Dorchester flourished as a trading village and by the mid-1700s had become the third largest town in South Carolina. The town’s fear of an impending French invasion in 1757 prompted the construction of a powder magazine and fort, which was fortified in 1775. Fort Dorchester saw little activity until the American Revolution, during which it served as an important military depot and strategic point. St. George’s Anglican Church was burned during the Revolution, though parts of it were salvaged and repaired, and members continued to use the church for worship for a brief period after the war. Members of the congregation later formed St. Paul’s in present-day downtown Summerville. 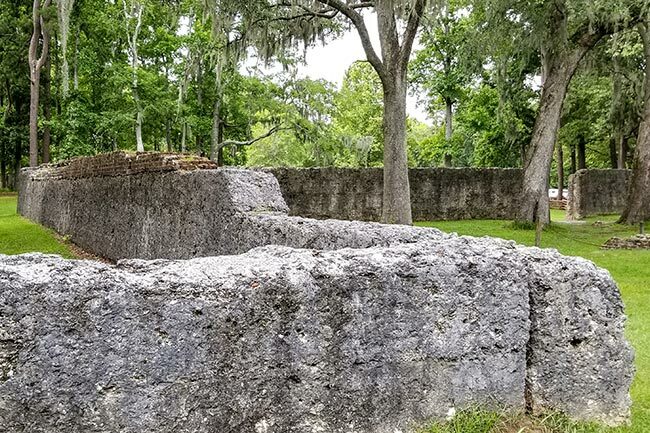 Many notable South Carolina military leaders, including Francis Marion and Thomas Sumter, were stationed at Fort Dorchester during the war to guard the powder magazine. Remnants of the magazine can be seen within the fort. Following the Revolutionary War, the population of Dorchester began to wane as people evacuated to different areas, including Georgia. By 1788, Dorchester was completely abandoned. 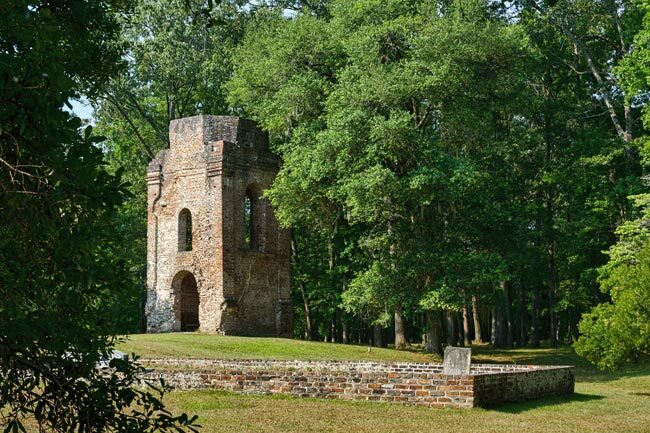 (Old Dorchester State Park; Fort Dorchester) Old Dorchester consists today of the ruins of the church tower, which was built about 1750 and the tabby fort constructed in July 1775. 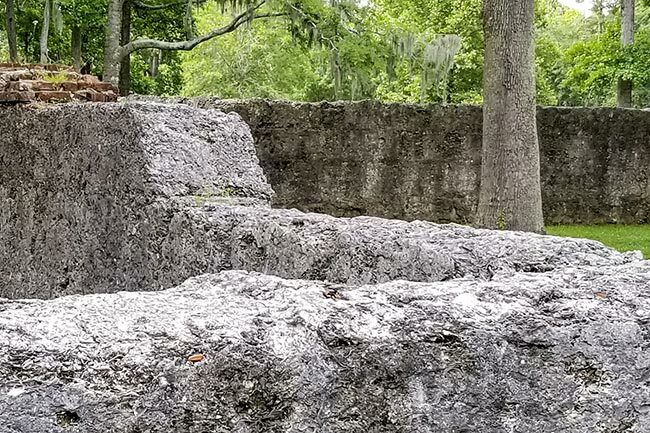 The fort was used as a garrison by both British and American troops, and at one point General Francis Marion House sites and other structures remain as ruins. Originally the town was the third largest in South Carolina. It consisted of a bridge, two wharves, “a boat building place,” a church and about forty houses. The town of Dorchester was established in 1695 by New Englanders of Massachusetts Bay. St. George’s, an Anglican Parish, was erected 1717. A brick church begun in August 1719 was enlarged in the 1730s. The tower was built before 1753 and in 1766 had four bells. 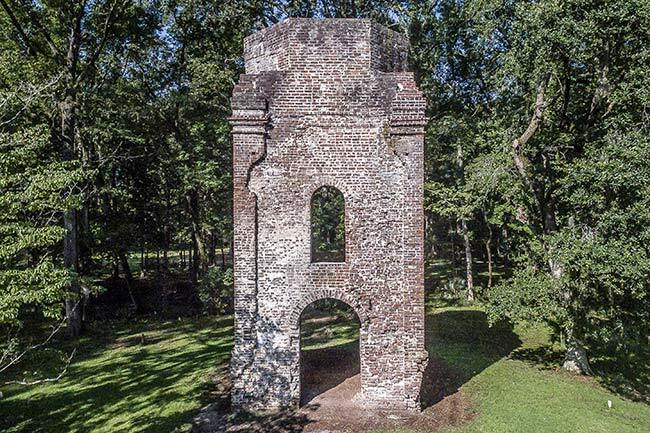 Burned by the British in the American Revolution, the church was partially repaired and used afterwards, but as the congregation moved away it fell into decay. 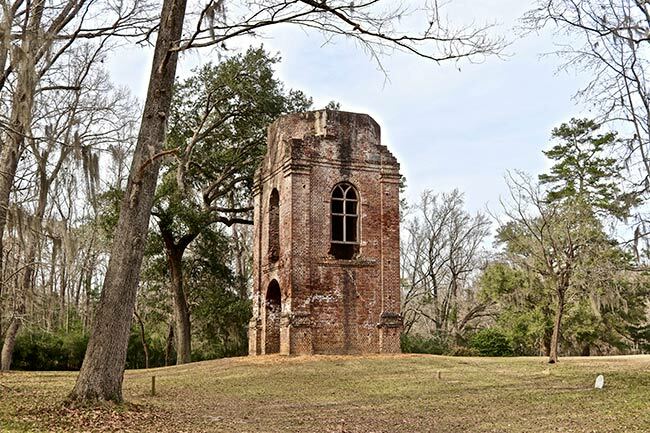 Fort Dorchester began as a brick powder magazine enclosed by a tabby wall in 1757. During the American Revolution, Dorchester was a strategic point. In 1775, the magazine was fortified and the garrison commanded by Capt. Francis Marion. British troops occupied the town in April 1780. They were driven out by cavalry and infantry under Col. Wade Hampton and Gen. Nathanael Greene on December 1, 1781. The town gradually declined after the Revolution. It was abandoned by 1788. My 5-great grandfather, George Julian, is said to have been a Tory. Though he was resident of Kings Creek in York County, a 1782 deposition swore that he died in Sept 1781 “at the Creek Meeting house below Dogester [interpreted as Dorchester]”. Is there any evidence that a Quaker Meeting House existed below Dorchester in 1781?